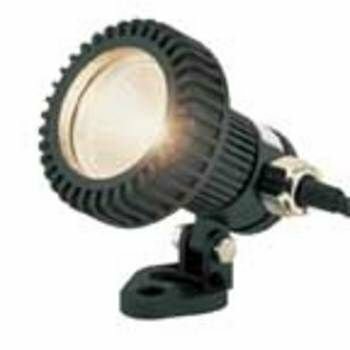 The LunAqua 2 halogen pond light can be used above or below the water. Its compact size make it an ideal niche light to hide in this nooks an crannies or between rocks. The light also comes with a ground stake and an adjustable mounting base for fixed installation. With the built-in focus ring, the beam angle can be adjusted from 10° (spotlight) to 40° (flood).